Welcome to the Chilton County Chamber of Commerce! 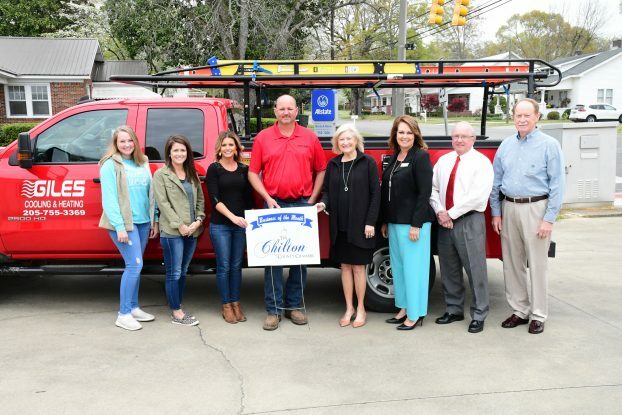 Giles Cooling & Heating in Clanton has been named the business of the month for April by the Chilton County Chamber of Commerce. The Chamber honored the business during a small ceremony on April 4. Johnny said he and his brother have been working for the company for 29 and 30 years respectively. Giles Cooling & Heating offers several different services to both new and existing customers.